It's been nearly two years since Sherlock Holmes seemingly fell to his death in the epic second season finale of Sherlock, and since then all anyone has wanted to know is: how did he survive? 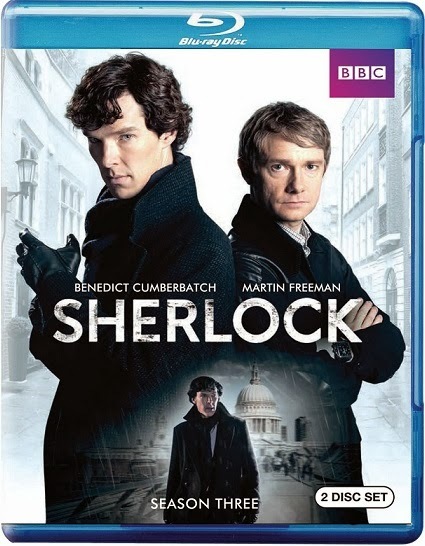 The question is finally answered when London's greatest consulting detective returns in "Sherlock": Season Three, available on Blu-ray and DVD February 11, 2014 from BBC Home Entertainment. 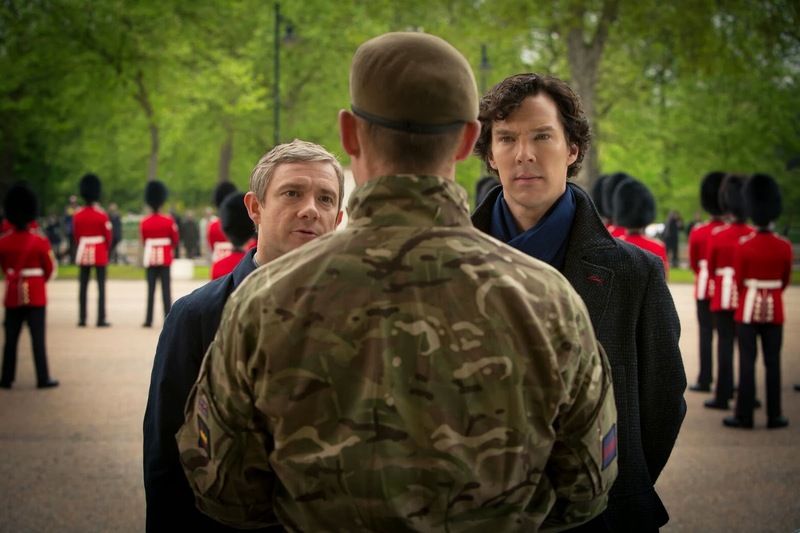 The third season of "Sherlock" premieres in the US on "Masterpiece Mystery! "on PBS on January 19, 2014. Earlier this month, the season premiere was watched by 9.2 million viewers on BBC One in the UK, making it the most-watched episode of "Sherlock" ever. 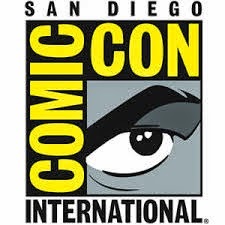 Sherlock Holmes (Benedict Cumberbatch, Star Trek: Into Darkness, 12 Years a Slave) and Dr. John Watson (Martin Freeman, The Hobbit, The World's End) reteam in three brand new action-packed adventures of the Emmy-nominated series. I don't know about you, but I think that this is the golden age for Sherlock Holmes. We have the Robert Downey Jr. movies which are fantastic, Jonny Lee Miller’s solid take on the character on the show “Elementary,” and of course Benedict Cumberbatch’s self-proclaimed “high functioning sociopath” on “Sherlock.” It’s almost an embarrassment of riches for fans of the consulting detective and his loyal partner Dr. Watson. I’m a fan of all of these properties and even reviewed several of them including the first season of Sherlock (which you can read here), so I was bummed when I didn’t get the second season of the show to review. In a way though, it was a hidden blessing as I didn’t have to wait two years to find out how Sherlock Holmes supposedly died and returned. I deliberately waited until I had the third season in hand before I watched the second one so I wouldn’t have to wait as I’m terrible at it (the wait from The Empire Strikes Back to Return of the Jedi just about killed me). Since we are now discussing the third season of “Sherlock” I’m not going to worry about spoilers from the previous two seasons so if you haven’t see those yet, then you should come back to this review once you have. During those earlier two seasons of the show, we’ve seen Sherlock Holmes (Benedict Cumberbatch) and John Watson (Martin Freeman) join forces and take on killers, psychopaths, and more. We’ve learned about Holmes’ “mind palace” (where he reviews the facts of the case and sort through it like a mental filling cabinet), his dislike of being photographed with the iconic deerstalker hat, and witnessed how he interacts with people. For those he likes, he has been cool and snide so you can imagine how disdainful he is to everyone else. His relationship to his brother Mycroft (Mark Gatiss, who is also one of the writers/executive producers of the show) is often strained and cutting, but underneath you can sense that the two brilliant men care for each other but don’t know how to acknowledge it. 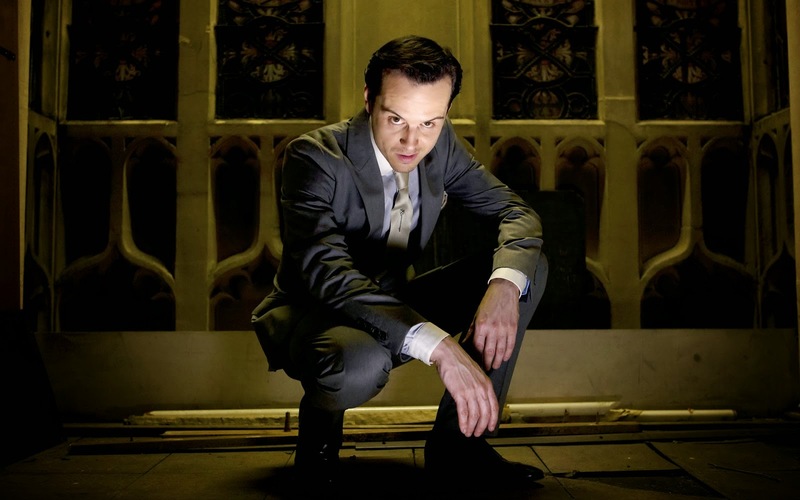 The second season ended with Holmes being seemingly outmaneuvered by his arch enemy Moriarity (Andrew Scott) in the final episode called “The Reichenbach Fall.” After having the entire city turned against him, Holmes jumped off the roof of a building to his apparent death in a bid to save Watson’s life, which was pretty shocking. What was even more surprising was the fact that at the very end of the episode we see Sherlock alive and well, observing Watson visiting his gravesite. How was this possible? We saw Sherlock jump, we saw Watson rush to his boy to check his pulse and the blood on the pavement, and his body being taken away. Since we saw Sherlock alive at the end, we knew he survived it but how? How could he pull of that kind of intricate trick in the limited time afforded him once Moriarity set his plan into motion? After an initial scene where we see Sherlock getting beaten by Serbian guards while being held in custody, Mycroft tells his brother that it’s finally time to come home to take care of a planned terrorist attack being planned an underground network. During his two years away, Sherlock has been busy dismantling Moriarity’s crime network with the help of Mycroft as well as helping people out along the way (which you can see in the short prequel film Many Happy Returns below). Happy to be returning home, he decides to disguise himself to reveal his return to the land of the living to Watson who is about to propose to Mary in a restaurant. Creating an improvised waiter costume on the way to Watson’s table, we finally get to see the reunion that we’ve all been waiting for and it’s just as good you’d hoped it would be. Acting like a snobby waiter, Sherlock tries to get Watson’s attention while talking about the wine list. Flustered about what he’s about to do, Watson ends up saying “Well, surprise me," to which Sherlock replies. "I'm certainly endeavoring to, sir." When Watson finally recognizes Sherlock, he’s in shock and has a ton of questions. Sherlock being Sherlock, simply says “The short version: not dead." And with that, the game is on once again and Holmes and Watson must discover how a man was able to disappear from a subway car in between stations while a malevolent figure is behind the scenes observing the two while plotting how to destroy them. Next up is “The Sign of Three” which is the single funniest episode of “Sherlock” to date. 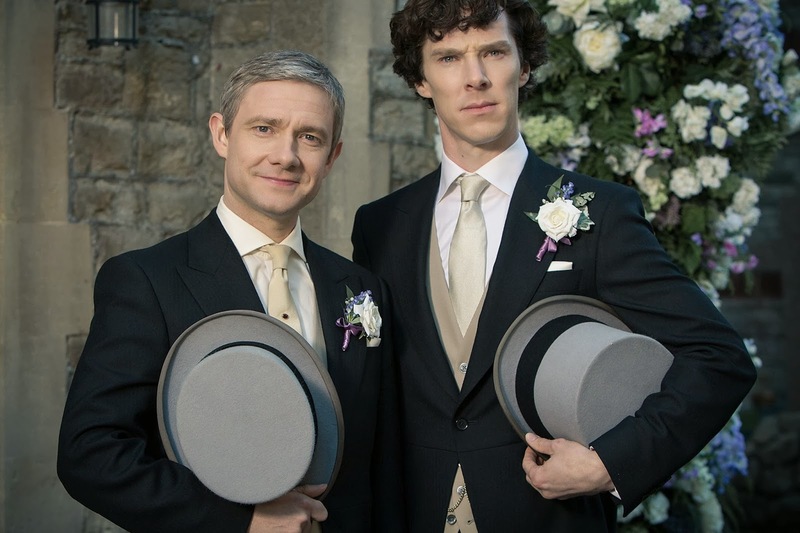 It’s now the day of John and Mary’s wedding and who of course should give the toast but the best man Sherlock Holmes. Coming from Sherlock, of course the toast is epic in length and delivery especially since he has to solve a crime during it. Yes there are still crimes to solve, but this season they have taken a back seat to the characters themselves which I’m perfectly fine with especially when the crimes are as unbelievable as this one. A guardsman is stabbed and almost dies but we are asked to believe that it was done hours earlier and he didn’t even notice it happening or notice that he was bleeding when he took a shower. Another troublesome aspect was when Watson is kidnapped and almost burned alive and no one including Sherlock (!) seems that worried about finding out who was responsible. The first two seasons emphasized the focus on the mysteries over the characters, but this third season goes the opposite way and it’s not until the third episode “His Final Vow” that the show finds a balance between the two. 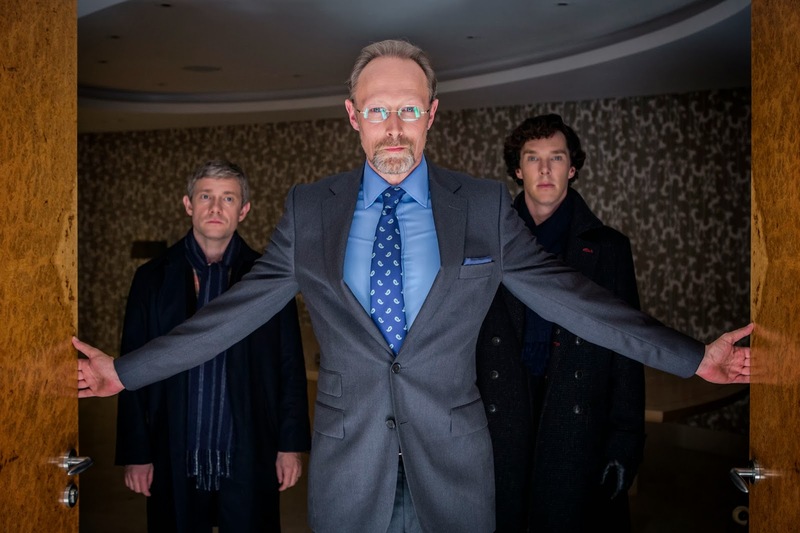 At last we find out that it was Charles Augustus Magnussen (Lars Mikkelson) who was the mastermind behind Watson’s kidnapping and attempted murder and who sent the strange note to Mary on her wedding day. Magnussen seems like a combination of Le Chiffre from Casino Royale (a character who was played by his brother Mads Mikkelson) and Rupert Murdoch and is just as tough for the authorities to nail down. We see Magnussen handle an inquiry with the authorities with ease as he accesses visual pressure points (kind of how Sherlock’s thinking is shown onscreen) which allow him to steer the conversation the way he wants. He is also not above using his ill-gotten information to blackmail others to do his bidding. Even Mycroft and government are afraid to move against him since they don’t know what information he could use against them or where he keeps it. Magnussen is more than a match for Holmes and a more formidable foe than Moriarity proved to be and he demonstrates that throughout the episode by trying to embarrass Holmes and Watson through various means. In the end it comes down to Magnussen’s information against Holmes’ intellect and Sherlock will have to make a judgment call on how best to honor his vow to protect John and Mary that will surprise many fans. I've got to say that this is my favorite season of "Sherlock" even though I'm sure that not everyone will agree with me as they'd prefer that the focus on the show remain on the cases instead of on Holmes and Watson. I enjoyed the added humor that comes from the character's personalities and flaws. It's also nice to see Sherlock show some humanity (even if it is sometimes faked). I also love how Mark Gattis and Stephen Moffat subverted a lot of what they had set up the previous two seasons and seeing how much fun they had tweaking the show's fans theories and expectations. That includes sending up the various ways that fans speculated how Sherlock faked his death to having Holmes' thought process appear onscreen garbled and nonsensical after he takes Watson for a drunken pub crawl as part of their bachelor party fun. I also like how they both respect and have fun with the established iconography of the characters from briefly giving Watson a mustache to the public's fixation on Sherlock's deerstalker cap (they even call him the "hat detective"). 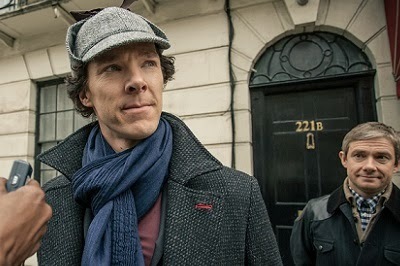 Despite his proclamations of annoyance about the hat, we even see Sherlock finally embrace his public image by putting on the hat to meet his public and saying, "Time to go and be Sherlock Holmes." It's one of the many great moments of this season and probably my favorite out of the bunch. It goes without saying that this cast is amazing in their roles and I can't wait to see what Gatiss and Moffat come up with for the next season! This 1080p (1.78:1) transfer looks much better than the previous seasons of "Sherlock" as it is the first one presented in 1080p resolution which makes a big difference. The images look much sharper now which is great considering how many details are shown onscreen such as Sherlock's thoughts presented as text. The palette of the show deliberately desaturates the colors but there are times such as the wedding, where the colors are allowed to shine through. The black levels are suitably dark and inky and the contrast level is spot on. This is an excellent transfer for the show and one that fans will enjoy. 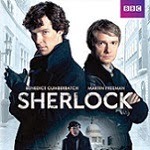 "Sherlock's" DTS-HD Master Audio 5.1 mix is also better than the previous releases as this lossless mix really utilizes all of the channels well which really gives the show an atmospheric boost. The dialogue comes across crystal clear which is good considering how fast Benedict Cumberbatch talks as Sherlock. David Arnold and Michael Price's music sounds great and is well balanced with the rest of the audio mix. Much like the video quality, this is a big improvement for fans. At first glance, this set doesn't seem to offer too many extras since there's only three included. But, if you think about it, three extras for a three episode set doesn't seem that out of place. It also helps that all three of these extras aren't just EPK fluff that lasts only a couple of minutes either. All three of these featurettes offer a in depth look at three different aspects of the show. The Fall - This first featurette covers the supposed death of Sherlock Holmes and all of the various theories on how he survived it from the show itself and from fans. It's entertaining to hear the theories, some of which are pretty out there and others were fairly close to what was presented as the correct theory on the show. Of course, with Sherlock, you never know if he's telling the truth or not and he could have just been completely lying to Anderson too. We also get to see some of the behind the scenes filming of the jumping scene with the cast which is fun to watch. Fans, Villains & Speculation - This second featurette covers a wider range of topics as we get to see a script read-through, a look at the popularity of the show, the decision to add Mary to the group dynamic and how that changes the relationship between Holmes and Watson, a talk about Lars Mikkelsen's role of Magnussen, how they went about Sherlock's return and how it affected his relationship to his friends, plus hearing Gatiss joke about Holmes serving as the best man results in being"both a train wreck and a masterpiece," and Gatiss and Moffat also talk about how difficult is for them to write Sherlock's deductions which may explain why there are less of them this season. Shooting Sherlock - Without spoiling what happens in the show, we get to see how a critical scene was filmed. We hear from the cast and crew about the scene and also how the intricate shot was done practically and with the help of a new set up for the camera. I wish I could talk more about it but it would ruin the episode if you haven't seen it yet so I will refrain. I will simply say that this featurette is very cool and recommend that you watch it once you've completed watching this season. "Sherlock" continues to be one of the best shows on television and one of the best adaptions of Sherlock Holmes as well. It's a shame that we have to wait two years between shows, but if it continues to be this good then I will keep waiting! Benedict Cumberbatch and Martin Freeman are fantastic in their roles and all of the supporting actors are excellent as well. This Blu-ray offers the best video and audio quality of the series to date and the extras are also very good. This set is highly recommended!